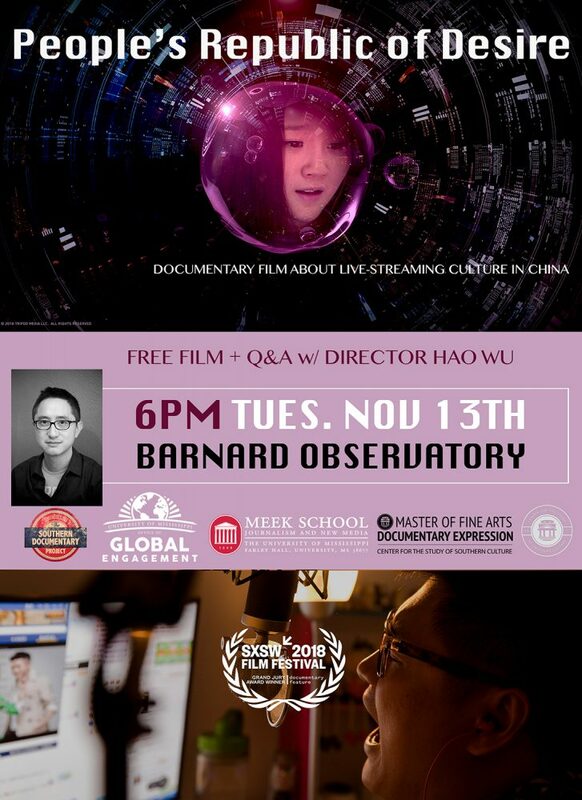 A documentary film by Hao Wu about live-streaming culture in China will take place at 6 p.m. Tuesday, Nov. 13 in the Tupelo Room of Barnard Observatory. The event is free and open to the public, and Wu will be in attendance for a question and answer period following the film. Wu was originally trained as a molecular biologist before focusing on filmmaking. He held various management positions at technology companies including Excite@Home and Alibaba. From 2008-2011, he was the China Country Manager for TripAdvisor, the largest travel website in the world. Wu’s first feature documentary, “Beijing or Bust,” was shown on PBS. His second film, “The Road to Fame,” has broadcasted in more than 10 countries and generated two million online streaming views in China. The film won the Grand Jury Award and Best Editing Award at the 2014 Los Angeles Asian Pacific Film Festival. 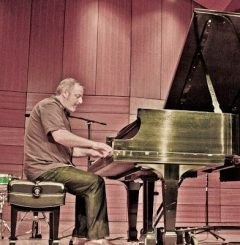 He also produced “Nowhere to Call Home,” which The New York Times said inspired dialogue about China.